BLINDED BY BLONDE: Male Rompers? 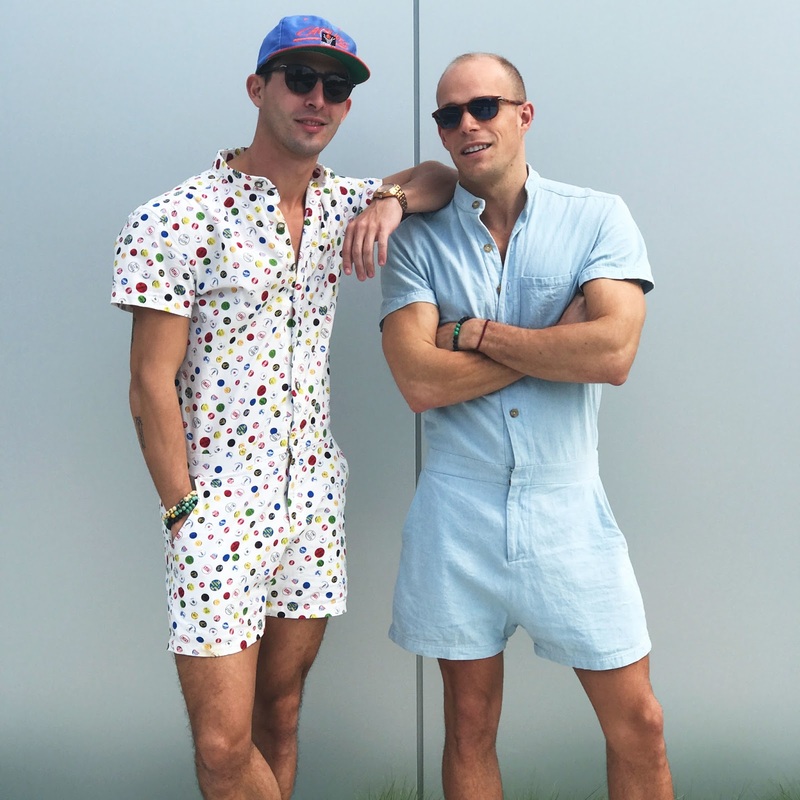 Will you date a guy who wears a male romper? I doubt this new trend is going to hit the status quo anytime soon. If you remember, they were pushing man bags a few years ago and I don't see too many men sporting that trend. But one can hope to see a plethora of men in rompers on the Tinder circuit. It certainly would add to the humor I see when flicking to the left and right for fun. Actually, the romper lends itself to easier manipulation when it comes to men relieving themselves as opposed to a woman. A man does not need to unbutton the entire garment and squish it down around his knees as he navigates the public, potty portal. I say go for it men!